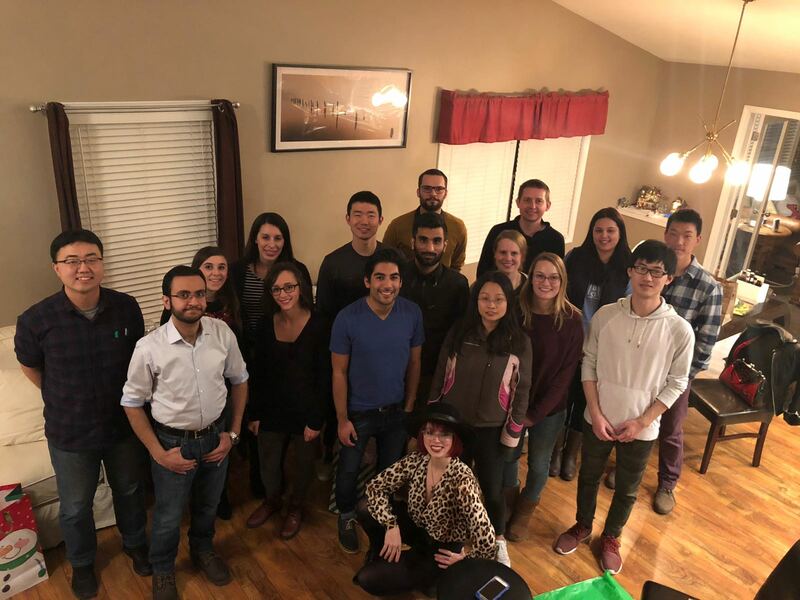 Welcome to the Anderson Research Group! Research within the Anderson Group focuses on all areas of separation science and sample preparation. We are specifically interested in employing and understanding the role that ionic liquids (ILs), polymeric ionic liquids (PILs), and magnetic ionic liquids (MILs) play in chromatographic separations and sample preparation, particularly microextraction-based techniques. In addition, we develop new synthetic approaches of these compounds for targeted applications within the fields of analytical and bioanalytical chemistry. The Anderson Group collaborates with a number of academic research groups in Europe, South America, North America, and Asia. We also work closely with numerous industrial collaborators as we develop separation/sample preparation methodologies that solve challenging industrial problems. Miranda's New Paper in Analytica Chimica Acta! Chosen as "Feature Article" and represented on journal cover! Prof. Anderson Presents Werth Lecture at Concordia College! Marcelino's New Paper Accepted for publication in Analytical Chemistry!! 4/19/19 Congratulations to Kevin and Chenghui for the acceptance of their manuscript "Maximizing Ion-tagged Oligonucleotide Loading on Magnetic Ionic Liquid Supports for the Sequence-Selective Extraction of Nucleic Acids" in Analytical Chemistry! 4/17/19 Congratulations to Miranda, Marcelino, and He for winning The Frank J. Moore and Thoreen Beth Moore Fellowship, David N. and Minnie I. Wall Graduate Fellowship, and Alpha Chi Sigma Award! 4/12/19 A supplemental issue on "Recent Developments in Sample Preparation" edited by Prof. Anderson appears in the April issue of LCGC North America. 4/12/19 Congratulations to Mel Yamsek, a former undergraduate student in the Anderson Group! He has been awarded a NSF Graduate Research Fellowship at the University of Chicago! 4/11/19 Prof. Anderson will present an invited talk at the 43rd International Symposium on Capillary Chromatography and 16th GC x GC Symposium in Ft. Worth, Texas! 4/3/19 Congratulations to Shelbie Weihs, who has received summer funding from the Dean's High Impact Award Undergraduate Research Program! 4/3/19 Prof. Anderson has received the 2019 Dean’s Emerging Faculty Leaders Award! 3/21/19 Prof. Anderson will present an invited talk at the 17th Latin American Congress on Chromatography and Related Technologies in Aracaju, Brazil!